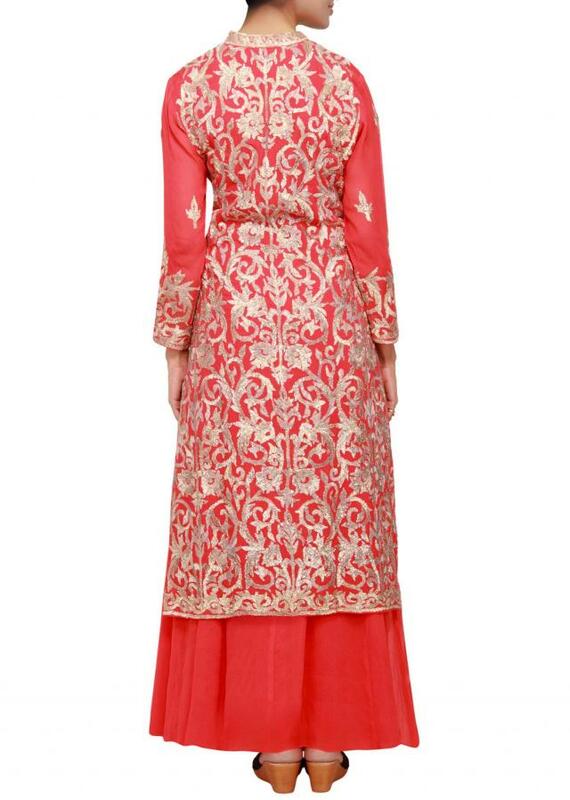 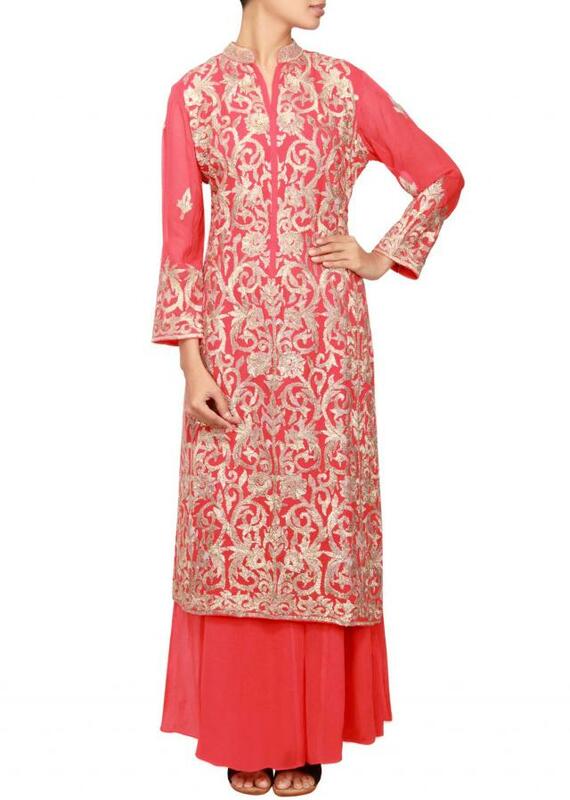 Featuring a red georgette a-line salwar kameez embellished in gold gotta patti work all over. 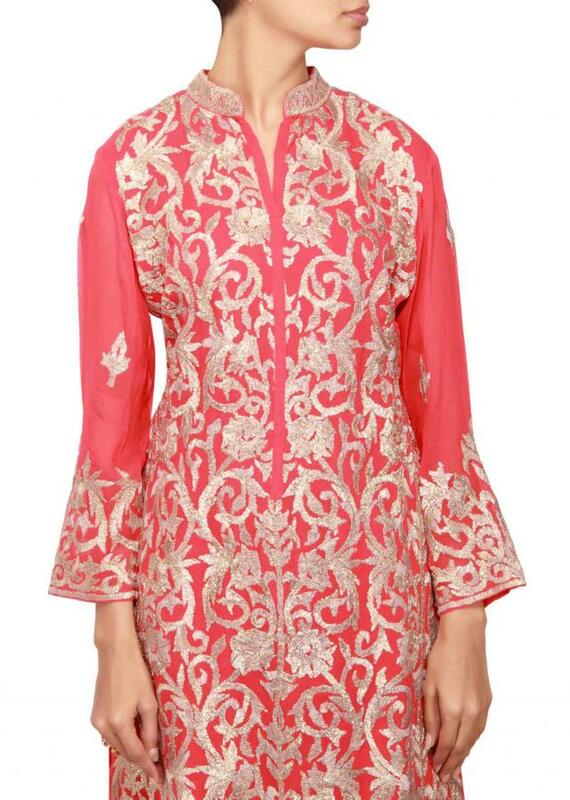 Neckline has a small opening with embellished chinese collar attached. Full sleeves in red georgette embellished in gold gotta patti. 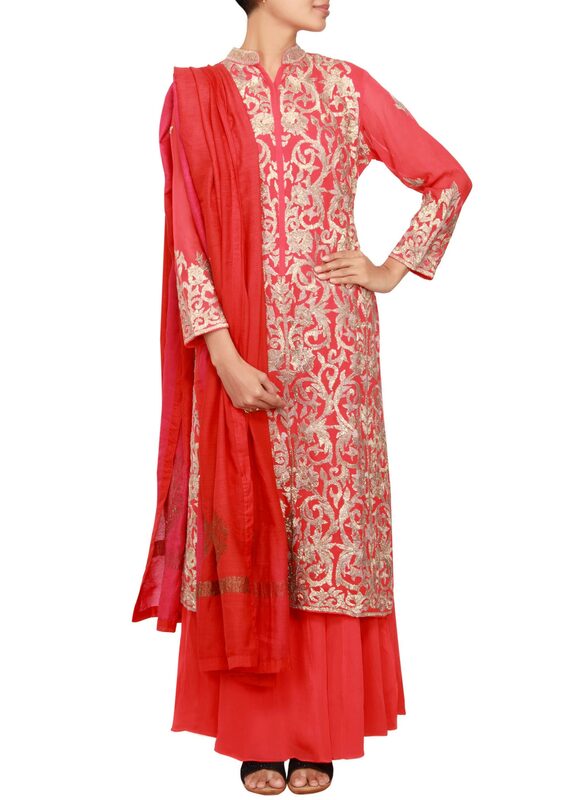 Dupatta is in fuschia and red shaded silk with zari embroidery.